I founded Kalles Group to ensure there’s a company in the field of technology consulting that prioritizes consultant and client relationships over transactions. 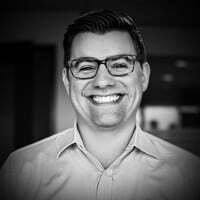 Derek began his professional career working for business and technology consulting firm Accenture, contributing to the mission of a variety of clients in the Puget Sound area. As he learned new and better approaches in solving business and technology challenges, Derek began to miss the real estate industry in which he grew up and decided to join the family business, Kalles Property Management, and apply these learnings. The company doubled its size and is now located in south Puget Sound providing regional property management needs. During his experience growing the management company and his time as a consultant himself, Derek noticed road blocks for professionals in their careers and gaps in the quality of service clients were seeking. He knew it could be done better – not only more competently, but also with the heart of any business – its people – truly at the forefront of each decision. A Seattle native, Derek is very involved in his community and church, including the Treehouse organization, and serving on the Board of Directors for the Entrepreneurs’ Organization Seattle Chapter. Recently, he has taken the principles from Kalles Group and brought them to its sister company, SumBridge, to help expand the professional service areas to finance and accounting. Derek graduated with a degree in Economics and Business Administration with a concentration in Information Systems from the University of Washington. He lives in Seattle with his wife Kirstin, their two kids, Lucius and Henrietta, and their French Bulldog, Norman.